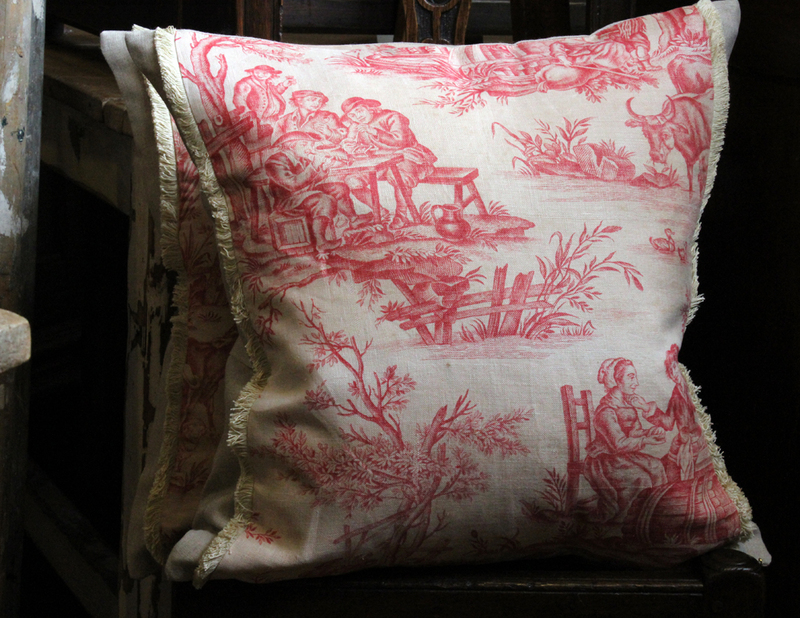 I love these Watteau linen cushions, the colours are soft and pretty and the scene is for the romance in all of us. 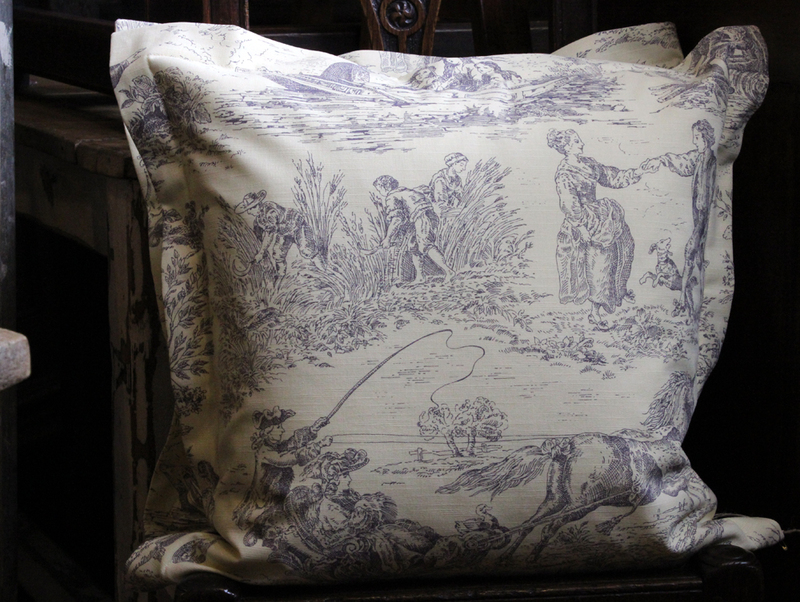 I am pretty sure this is a one off fabric for the store, and as such there are only two cushions available. 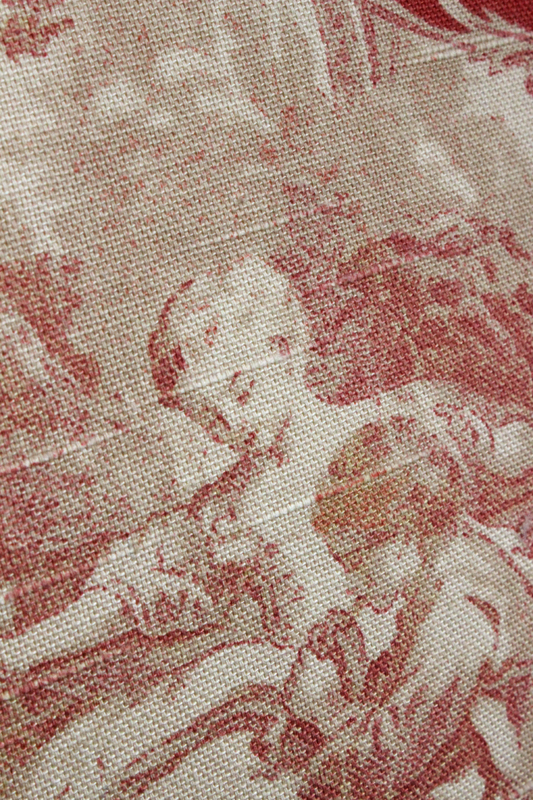 Can you see the lovely texture of the linen? 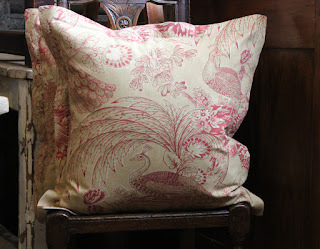 These are definitely a favourite of mine, I found the fabric a few years ago on my travels in France. 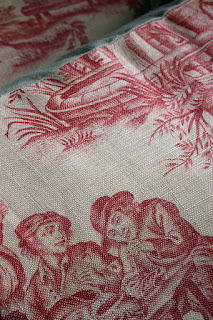 I am pretty sure it dates to the 19th century. I have a bit of a weak spot for French toile, especially the raspberry colours like this example. Mum has finished the edges with a complimenting fringe detail. 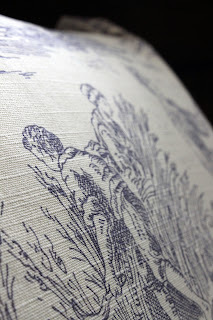 The blue toile is very popular, this linen is not as old but I also found it in France a few years ago and couldn't resist. Lastly, these cushions are made from an oriental inspired design and depicts peacocks in raspberry red colours on a green ground linen. Magical, no? My time is now divided between the two stores and I have a vague yet constant sense of wanting to be in two places at once. I often joke about cloning myself but now I am earnestly starting to wonder how close scientists are to this feat? If I could be greedy and have multiple clones (not just the one) one of them would be at home catching up on the pile of magazines! And having a cuppa. 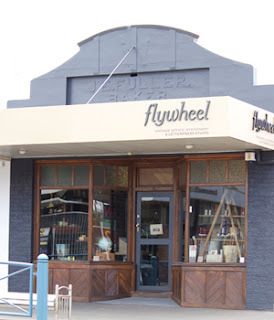 The big news for the week is that our Flywheel blog has now officially started! So please take a look and follow for all Flywheel related news and events. As you so rightly say, these cushions are simply wonderful. The fabric is, of course, beautiful and, as always, conveys a timeless, country house look. We love them and are sure that they will 'fly' off the shelves. Thank you for your thoughtful comments, and I hope you are right that they fly out the door. To a good home, of course! 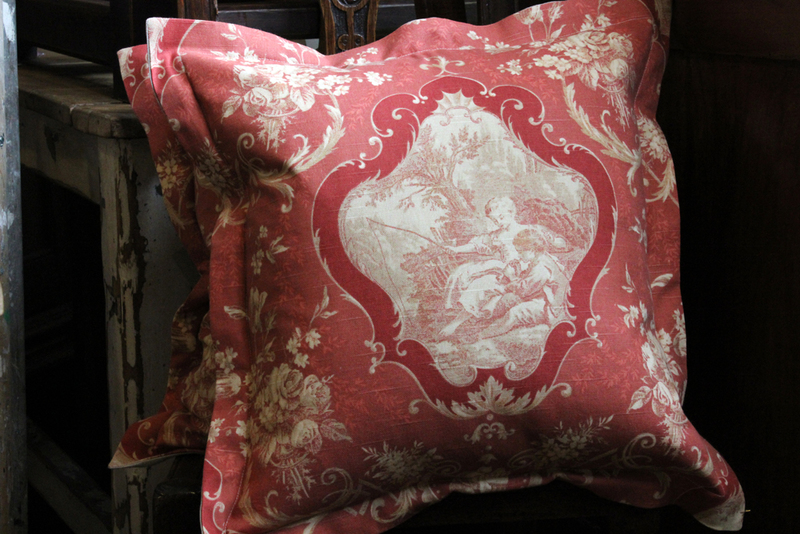 All the cushions are devine, but like you I'm a red girl at heart! 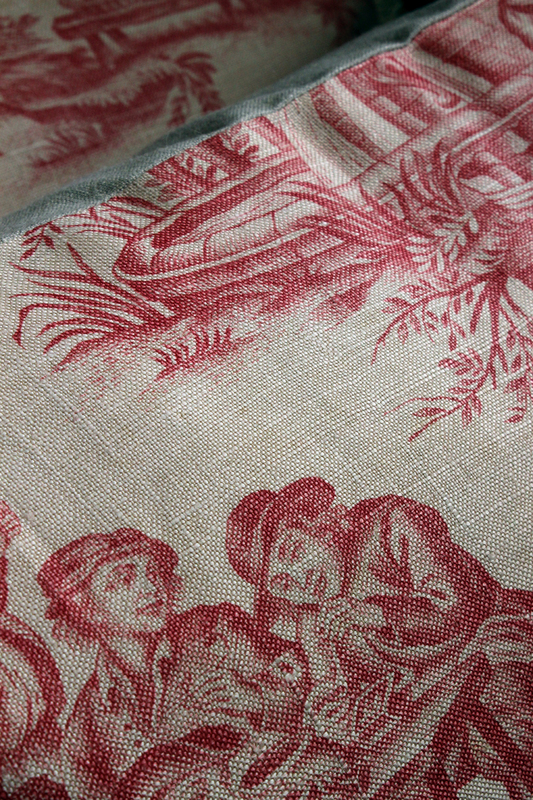 The linen texture is wonderful. I have also (often) wished I could clone myself also. Imagine what I would get done. Glad to hear you have remained okay with the fires but like you my heart goes out to the ones that it has touched and destroyed so much. I am glad you like the cushions, and my cloning idea. You would need a few clones for yourself I am sure! We will think about the fire victims and hope they can find happiness sooner rather than later. 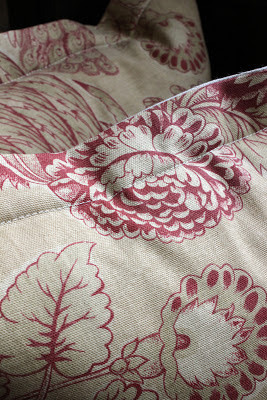 Perfect time for these gorgeous cushions, bath mats, area rugs, curtains & table linen to be on sale!! For best searches Area Rugs, Area rugs Store, area rugs online, Hand tufted rug, Wool area rug, Area Rugs price, Cheap Area Rugs, Rugs Shop New York, Area Rugs Made in India you will definuely get Ameyahome.com the largest Home Furnishing online store in New York, USA. Get discount upto 40% on different items for sale in USA. 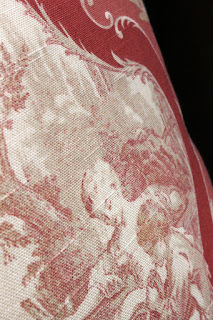 new in store . . . twine for everyone!